China and India have been granted observer status in the Arctic council after an announcement at a ministerial meeting in Sweden. The Arctic Circle has been looking to incorporate more inclusive debate about the future of the Arctic region. Iceland’s President Olafur Ragnar Grimsson has been calling for an expanded role for China, India and other Asian countries in the future of the Arctic, arguing that the rapid melting of the summer sea ice was having effects far beyond the region. Presdent Grimsson said recently that oil companies and Asian countries like China, India, Singapore and South Korea should have a voice in the future of the region. “We realise that there are other nations in Asia and Europe that have legitimate concerns and enterprises in the Arctic and it’s important to involve them in a co-operative effort,” Grimsson said. China, India, Italy, Japan, Republic of Korea and Singapore were granted new Observer States status at the Eighth Ministerial Meeting of the Arctic Council convened in Kiruna, the northernmost city of Sweden. Approximately 230 people, including ministers, delegates from the eight Arctic states, representatives of indigenous peoples, scientists and observers, participated in this event, which marks the end of the two-year Swedish chairmanship and the beginning of the Canadian chairmanship of the Arctic Council. At present, only the eight countries of the Arctic Council have a say in setting policy in the region – America, Canada, Denmark, Finland, Norway, Russia, Sweden and Iceland. 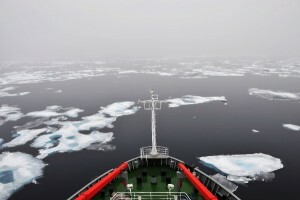 Last year saw a record melting of summer sea ice in the Arctic which has led to a major push by oil and mining companies to drill in Arctic waters, and by Asian countries hoping to cut shipping routes.